In northern Arizona lies an expanse of arid, erosion-prone badlands made of multicolored mudstones and clays. This “Painted Desert” stretches from the Grand Canyon in the northwest to the Petrified Forest National Park in the southeast. 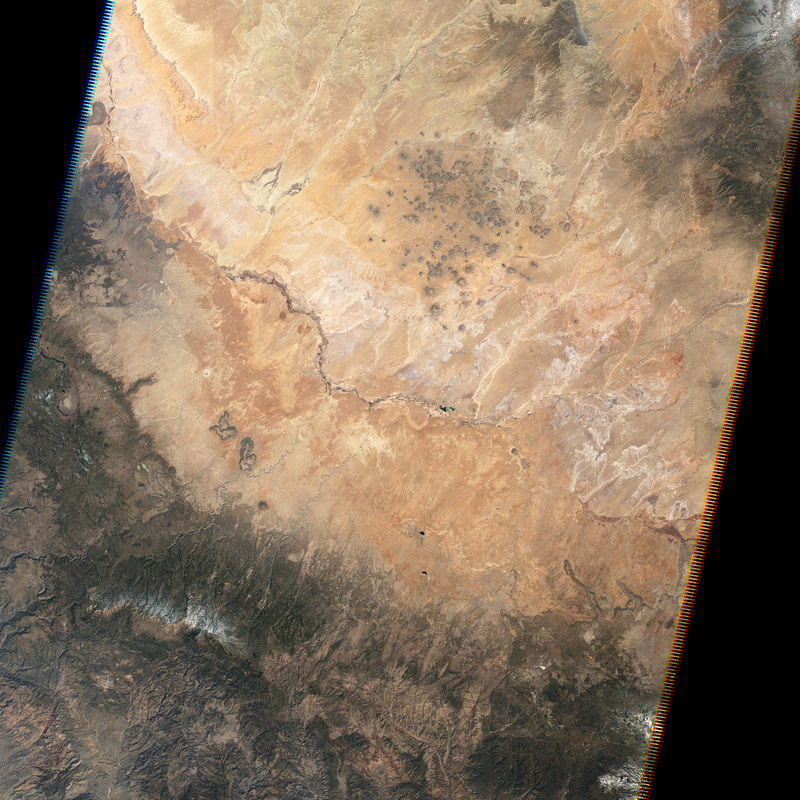 On March 28, 2009, the Thematic Mapper on the Landsat 5 satellite captured two views of the Painted Desert. 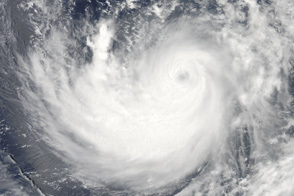 These images have been rotated so that north is at right. 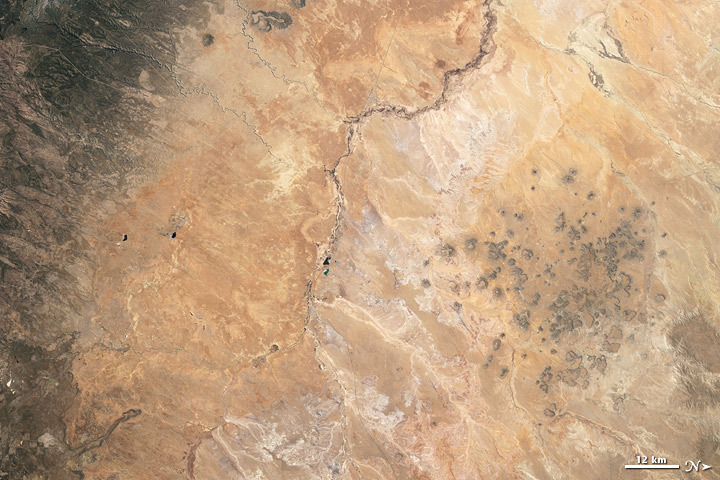 The top natural-color image is similar to what our eyes would see from space. Earth tones predominate, ranging from beige to rust to dark brown. In the north (image right) lies Hopi Buttes, a constellation of ancient volcanic cones more resistant to erosion than their surroundings. Dark volcanic rocks line the slopes of these buttes. 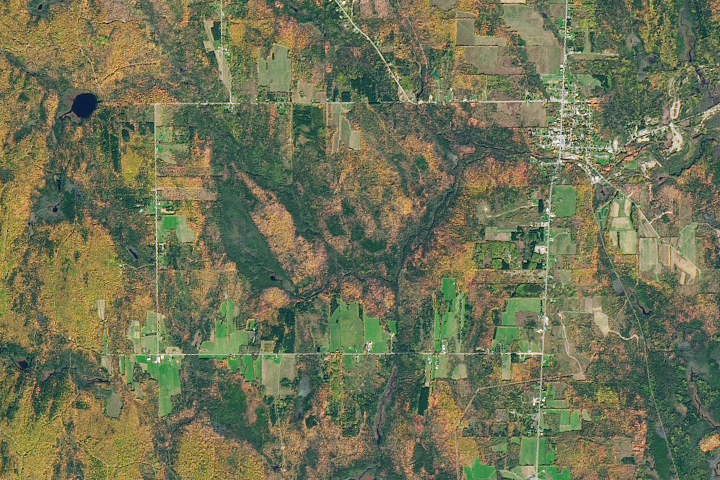 In the south (image left), the land cover is equally dark. The Thematic Mapper can sense parts of the light spectrum that our eyes cannot see. 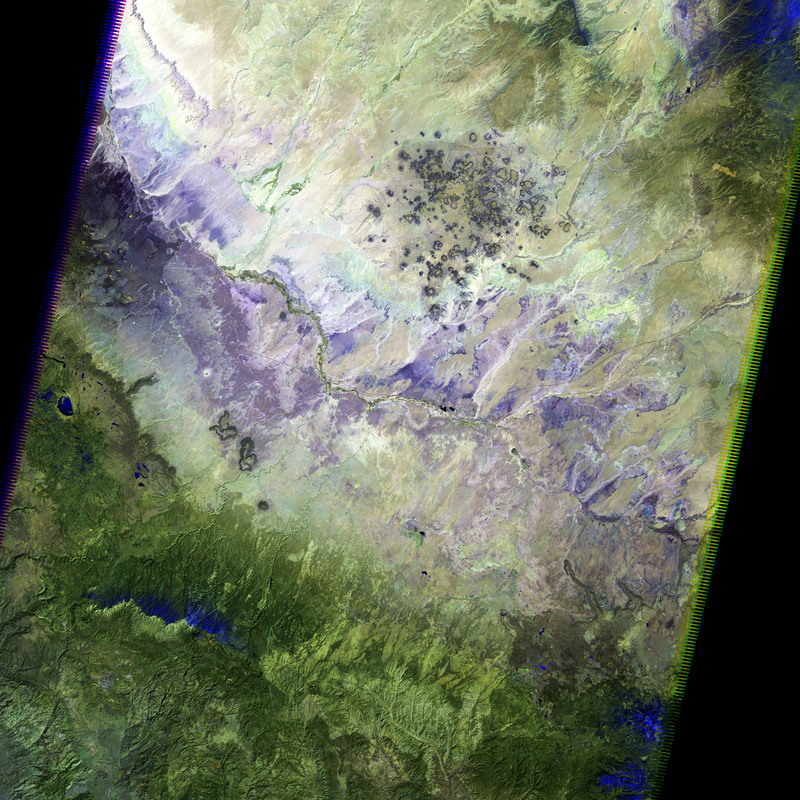 The bottom image provides a view made from these additional spectral bands, which are better at distinguishing between different types of rock, soil, and vegetation. The Thematic Mapper can also sense the amount of water in plants. 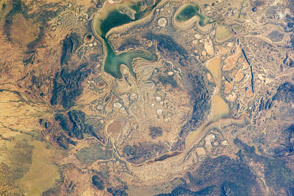 Whereas the natural-color view shows both rocky slopes in the north and vegetation in the south in about the same shade of brown, the false-color image shows these features in different colors. The more vibrant green in the south belongs to Sitgreaves National Forest. 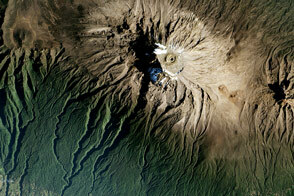 Running down the middle of the image, a serpentine line of green indicates vegetation along a river valley. 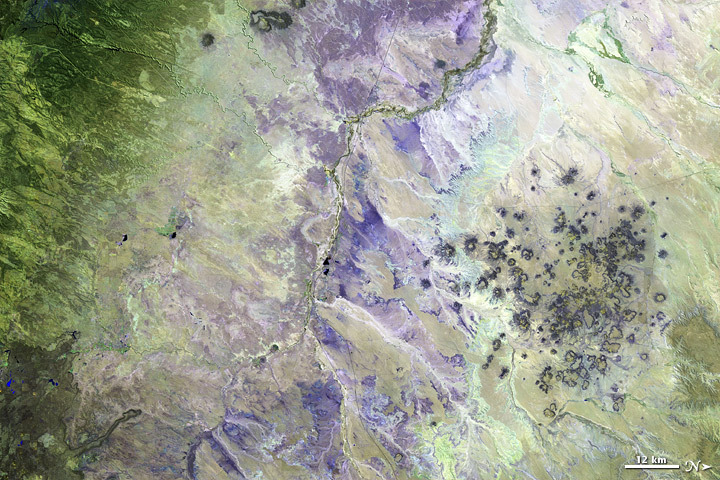 The false-color view of Painted Desert is part of the Earth as Art 3 online gallery from the U.S. Geological Survey. Acquired March 28, 2009, these images provide two views of Arizona’s Painted Desert. Check Out These Colors, Maine!